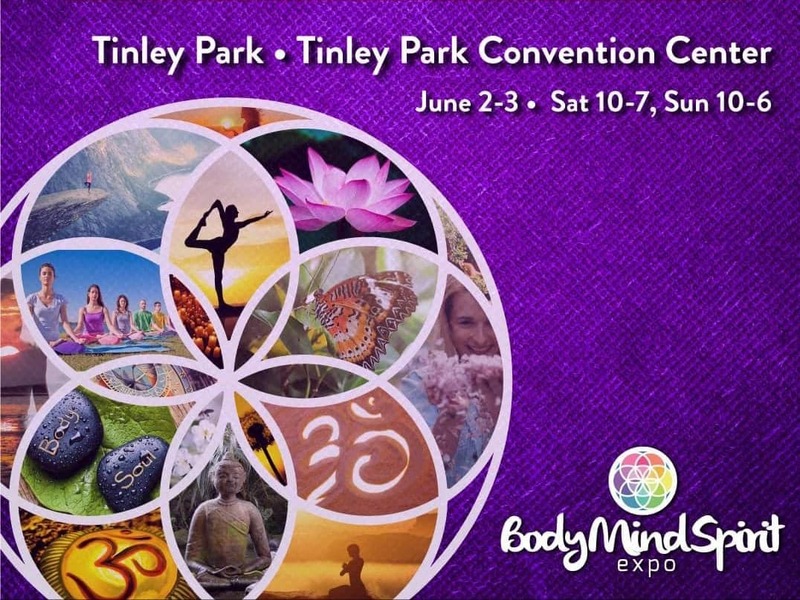 Body Mind Spirit Expo Tinley Park! Feeling Good After 2 Full Days of Readings! I had such a great time doing Akashic Record Readings at the Body Mind Spirit Expo this past weekend in Tinley Park! It was nice to meet so many amazing people both customer and vendors. were the same and I ended up doing a good amount of readings each day. There are so many things I love about reading the Akashic Records for people but one of my favorite aspects is the past life readings. I not only met so many interesting people but I got to meet their super interesting past lives as well! Many times the past life person actually gives advice and shares their experiences. In such a short time the message is usually shorter but in many cases at the event I got a rapid fire of messages -I guess they knew we were on a short time frame and had to give advice faster! Past lives always relate to current lifestyles, beliefs and interests, so making that connection for people is really great. Other questions that came up ranged anywhere from career, love life, conflicts with others, difficult bosses and family. Many people were seeking some type of resolution and connection to loved ones who have passed on. Although I did not advertise that I can connect with loved ones, at the show, using the records one can connect with Angels, Spirit Guides, the Masters, Teachers and Loved Ones. I was happy that in many cases this weekend I was able to connect and get some information concerning loved ones for people. That part is not always guaranteed, some one may ask about a parent who has passed on and instead of them another family member or energy may step forward. Overall the readings went well- It was so rewarding to learn so much and meet so many nice people. energy. Many of them, all of the tables around me in fact took the time to offer me some really helpful advice even though they were clearly busy. I honestly couldn’t believe it and truly appreciated it. If you have met me or worked with me you also know I am obsessed with Crystals. One interesting piece that naturally emerges from a reading is a crystal recommendation. When I am telling clients what to use or work with -this information is channeled from the records not my own advice based on the energy you need to draw into your life. All of the beautiful crystals on my table were from a Crystal vendor called Our Sacred Connections. I love the Crystals Sandy and Bob the owners have for sale and have bought many pieces from them. Their crystal have such a high vibration and positive energy! The crystals help keep my energy up and draw in positive vibrations. Kind of like an antenna they help draw in energy and thus stronger messages. On Sunday morning, I admit my energy was a little low. When I got to the show, Sandy and Bob stopped me on my way in with a wonderful surprise! A huge chunk of Midnight Quartz, they said they were worried my energy was drained and this would help ground me! This was exactly what I needed and it totally helped, I felt so much better Sunday night and Monday morning. Thank you-Our Sacred Connections!!! Overall the show was a great experience, I met so many nice people and ad so much fun. I already signed up for Northlake in March 2019, and am probably doing Ohio. of my Romanian vacation, I decided to take a day trip to Bulgaria! I didn’t realize Bulgaria is the leading producer of Rose Essential Oil. I didn’t use or know to much about Rose Oil uses prior to this but apparently Rose Oil offers a host of spiritual and health benefits. Most of the Rose Essential Oils sold in America are actually imported from Bulgaria. Monastery and Rock church, this cave church is carved into the side of the mountain and dates as far back as the 15th century. You have to climb the rocky steps to get up to the small sanctuaries. Once inside there is such a peaceful atmosphere and people come from all over to leave notes of prayers and blessing requests to God and Saint Dimitri -the patron saint of the church. I was excited to find small bottles of Rose Oil that were blessed by the monastery priests at the little shop on the complex. Later in the village of Veliko Tarnovo I bought a lot of little bottles of Rose essential oil for souvenirs as well as some rose flavored candy. After the trip I learned that Rose Oil has many health related properties including uses as an antidepressant, antiseptic, antispasmodic, antiviral, aphrodisiac, astringent, and anti-bacterial. It is highly effective in skin care products for its anti-aging properties. Aromatherapy diffuser- Adding about 5 drops to an aromatherapy diffuser will instantly dissipate negative energy in your home and replace it with positive energy and love. You can also make an aromatherapy mist by adding 5-10 drops of Rose Oil to 2oz of purified water and spray around your home instead of smudging. Wearing Rose Oil will produce an elevating and uplifting effect, help balance the emotions and help instill unconditional love and compassion into your life. It will also aid in opening your heart chakra to divine love. You can’t ask for anything more than that! 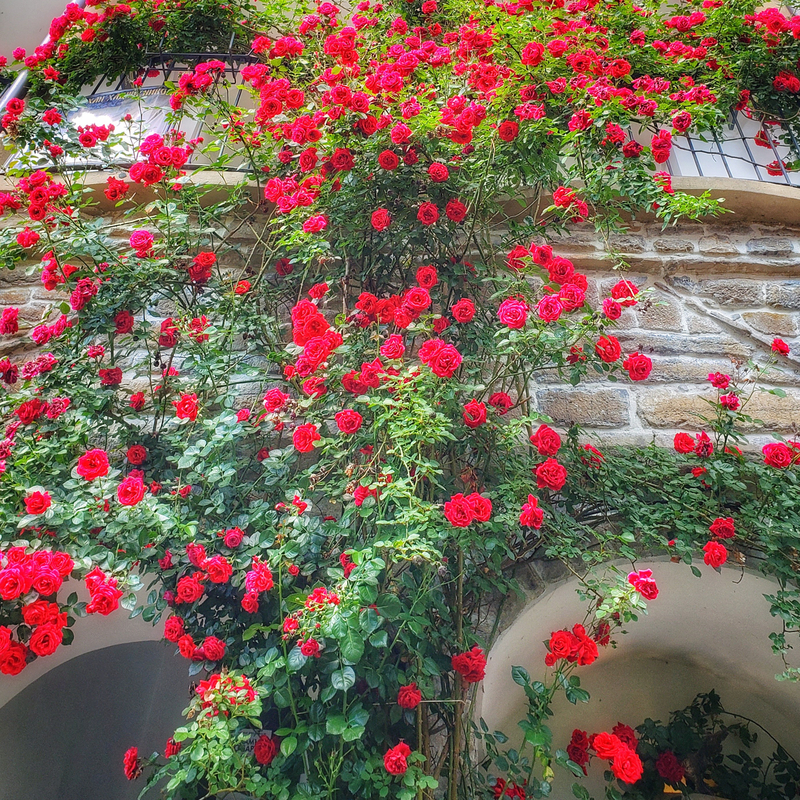 You don’t have to go to Bulgaria to get Rose oil. Many reputable companies such as Aura Cacia essential oils sell Bulgarian Rose Oil. There are 2 types available for purchase-Rose Otto and Rose Absolute. Rose Otto is the purer of the two oils because it is expelled using a steam distillation method. While Rose Absolute is produced by a solvent extraction method. You will find that both of these oils are mixed with some type of carrier oil like Jojoba or vegetable oil. This is because of the enormous amount of Roses needed to produce the oil. About 9000 lbs of Roses are needed to produce just 2 pounds of Rose Otto and about 10,000 lbs to produce 5lbs of Rose Absolute. Both products are sold for about $15.00 from Aura Cacia essential oils as well as a number of other companies. I highly recommend experimenting with Rose Otto essential oil if you need a quick infusion of positive energy and love into your life! 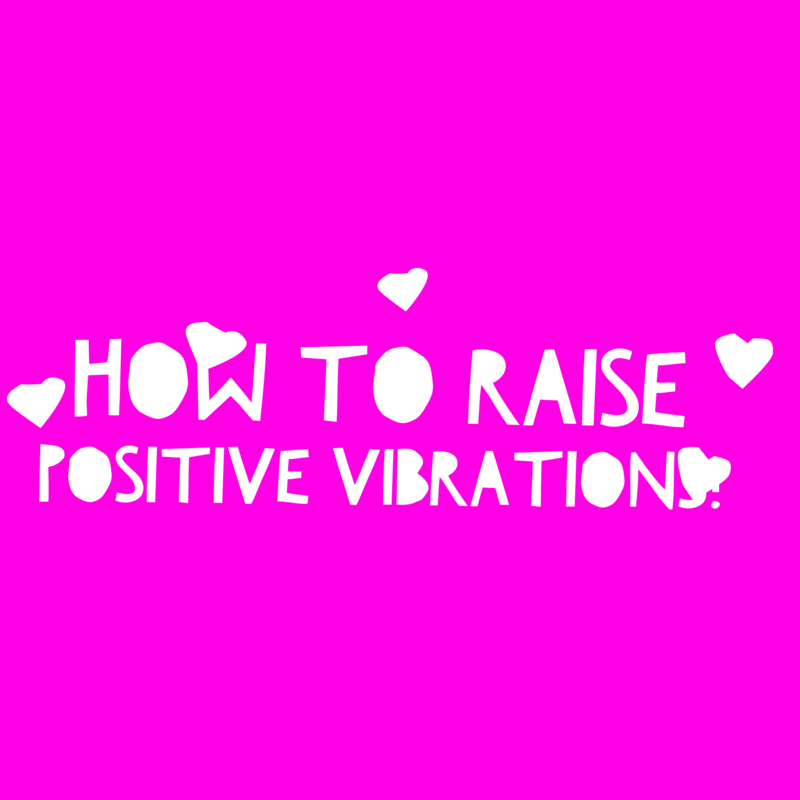 How to Raise the Positive Vibes in your Life and Home! Have you ever just felt a heavy energy or negative vibe when entering a room or around certain people? Many of us are affected by accumulated negative or unwanted energy and it is hard to figure out how to shake this feeling off. Dealing with problems or excessive emotional energy can cause a home and ourselves to accumulate unwanted energy. This energy can get trapped inside a space or yourself or a variety of reasons, it can be leftover emotional energy accumulated over time or negative energy from past events, or just all around negative vibes! That is why we should take some of the following easy to do steps to raise the positive vibrations in ourselves and home. First clear your home and yourself. There are some simple steps to help keep a space clear and free from dense or heavy energetic accumulation. The most important part in clearing the energy of your space is to hold a strong positive intention and energy. Ask your higher power or the Angels to help you. Smudging with Sage can help combat negativity and clears energy. First you will need a fireproof container and a sage stick. Do this during the day and when you are in a positive frame of mind. Open the window in each room a crack so energy can escape. Light the sage stick over the fireproof bowl, lightly fan the flame letting it burn down to a glowing ember. Relighting it if you need to. Start in the far end of your home and recite the prayer below or a similar one in each room and envision a positive white light surrounding and emanating from you for protection and guidance. Move purposefully through each room in a clockwise pattern. Direct the smoke into each corner. Closets too. Hold the bowl under the sage so you don’t drop anything that could catch on fire! Develop a pattern that feels right to you, but don’t worry too much about being exact. If you sense a need for extra cleansing in any spot or room, trust the feeling and go for it. Dear God, (or with Divine light and love or Angels) I ask that you bless this home and release all unwanted or (negative) energy from my home. Fill this space only with divine love and light. The last step of asking to replace the vibrations with divine love and light is important because the ultimate goal is to draw in positive loving energy from the universe. A similar method to sage is using Palo Santo which means “holy wood”. It is the bark of a South American tree and is another natural method used in smudging a space. You can burn Palo Santo or purchase a Palo Santo spray which offer the benefit of cleansing for clearing energy, minus the fire. You follow the same instructions to smudge a house using the spray or the wood as for sage but spray once or twice into each corner of the room and say the prayer. After the clearing you now have to raise the positive vibrations. Here are some basic tips to maintain the energy. depending on which type you get. Super high vibrational crystals can help draw in or amplify positive vibrations and make your home feel better. You can place clear Quartz crystals or other high vibration crystals like Selenite or Angel Aura Quartz in the corners of the rooms you spend a great deal of time in. To help draw love into your home and life place Rose Quartz in your bedroom or your living room. Morganite is a similar pink stone that will help amplify and draw in divine love and light. Keep in mind Crystals will need to be cleansed periodically. You could use the same smudging method and prayer above to clear the crystals. To help absorb negative energies place pieces of Black Tourmaline in areas around the home or along the windows. You only need a few pieces per room or in rooms you want to clear. Fresh Flowers Brighten a Room! Flowers and plants; Put fresh flowers and house plants in a couple rooms to help raise good vibrations and provide an ongoing source of positive energy. Really any type of flowers will work but Roses are typically known for drawing in love and light. Yellow flowers like Sunflowers or tulips to bring in a hopeful outlook into your life and home. Use an Aromatherapy Diffuser around your home to help keep the vibrations high. To make a “smudging type” blend mix 1-3 drops of each Lavender essential oil, Sage essential oil, and Lemon or Lemon grass into the diffuser. You can substitute the lemon with Juniper or Siberian Fur both have cleaning and uplifting properties. Let the diffuser run in each room for 30 mins. Repeat in each room you’d like to cleanse or purify, refilling the basin with water and essential oils as necessary. Another option to draw in positive energy and boost the spiritual energy of your home is to create a Spiritual or Meditation Altar. First decide on a theme or a purpose. What qualities are you looking to draw into your life is a good way to decide on a theme. Based on your theme add elements to the altar such as candles, fresh or dried flowers, positive affirmations, crystals, statues or symbols of spiritual teachers, or loved ones. Figures of divinity, gods or spiritual teachers is a nice way to formulate a theme for you alter and purpose. If you are looking to add in positive divine feminine energy consider images or statues of the Virgin Mary, Artemis or Diana. For love and compassion images of Jesus, for those seeking enlightenment the Buddha is an option. If you need angelic assistance consider images or statues of Archangel Michael or Uriel. 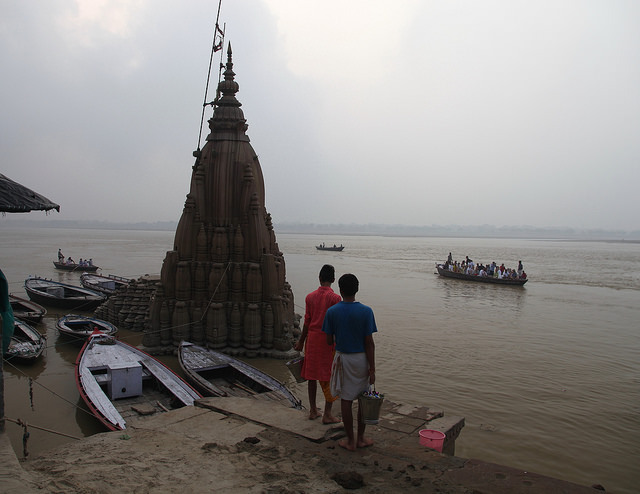 Looking to overcome obstacles-a statue of Ganesha the remover of obstacles in the Hindu faith might be appropriate. You also can make a nature or crystal altar and center the elements around the reason behind the altar. Consider the colors used on your alter, whether it is the color of the flowers, crystals, candles or table covering colors hold a deep significance on a conscious and unconscious level. Blue is typically for peace, serenity, or forgiveness, red for love and passion, yellow for positive energy and wisdom, white for purification and divine energy, purple for intuition or psychic development. There is no right or wrong method for constructing an altar it is really up to your own creativity and purpose! One of the most important factors in raising your vibration to a higher level is really focusing on positive intentions and actions!